Anne discusses how her husband lost his wife to cancer. She talked about how he immediately began dating as a way to try to replace what he had lost. She said the first day of their honeymoon, that they spent most of the day helping him close the door on his past marriage because he had not fully grieved her loss. Anne also spends time talking about how tough it was to enter into being a mother for her husband’s 18 and 23 year old daughters at the time. Anne discusses the demise of her prior marriage. Her husband who was a Vietnam veteran had PTSD triggered by the events of the terrorist attacks of 9/11. She was served divorce papers shortly after this happened. Anne offers hope to those grieving these types of losses and especially help for those who might be helping someone grieve from the loss of a partner to death. 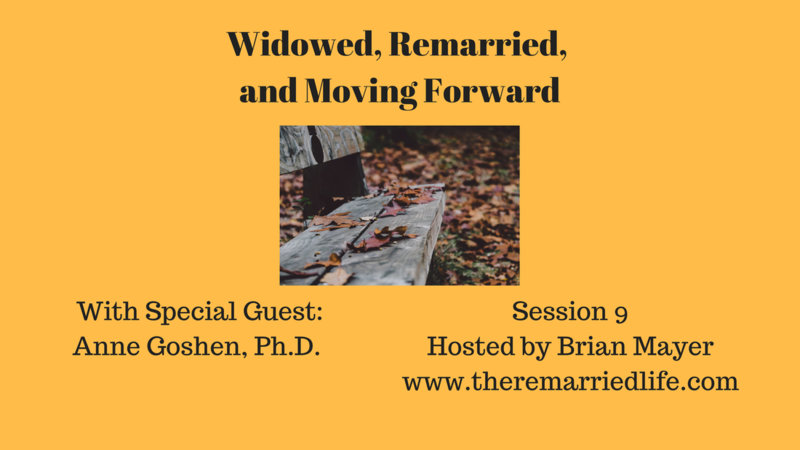 Anne’s Podcast, called The Couples Toolbox has the episode we discussed where she interviewed her husband regarding the passing of his wife. The Anne's Youtube Channel has lots of helpful videos. With so many things that take time in our lives, I am more grateful than you know that you took time to listen to this podcast episode.